This booklet is an introductory guide to help family and spouses of individuals who have recently lost a limb adjust to their new role. 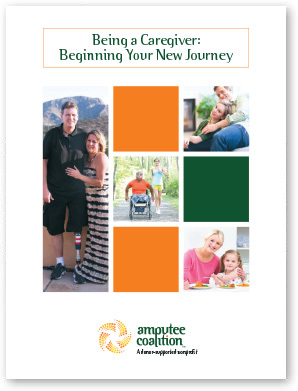 The booklet offers an overview of the topics related to being a family member or spouse of someone with limb loss including: Caring for your loved one, Intimacy and relationships, Coping with the stress of caregiving, Community and support resources. It is designed to complement the Coalition’s Your New Journey folder.